First off, thanks to everyone who left comments last week wishing me congratulations and luck on my new job. Your good thoughts are truly touching and encouraging. Unfortunately, it’s left me with little time for DOC stuff this week; hopefully that trend doesn’t continue. When I got to the office on Day One, one of the first things I did was put a jar of glucose tablets in my desk drawer. Mid-morning of Day 2, I (successfully) attempted to be subtle as I dipped into the stash. In setting up my computer, I was prompted with a newfangled option to scan my fingerprints so I can log in without typing (or remembering) a password. I’m wondering how many times I can test my blood sugar on my right middle finger before it no longer scans and I need use it in a more emphatic manner. While touring the office and making introductions, my insulin pump was spotted by someone whose wife is also a T1 and sees the same endocrinologist as me. (But she uses an Animas). Small world. Upon returning from lunch on Tuesday, I parked my car in the farthest row in the parking lot, where the trees provide shade from the hot sun. 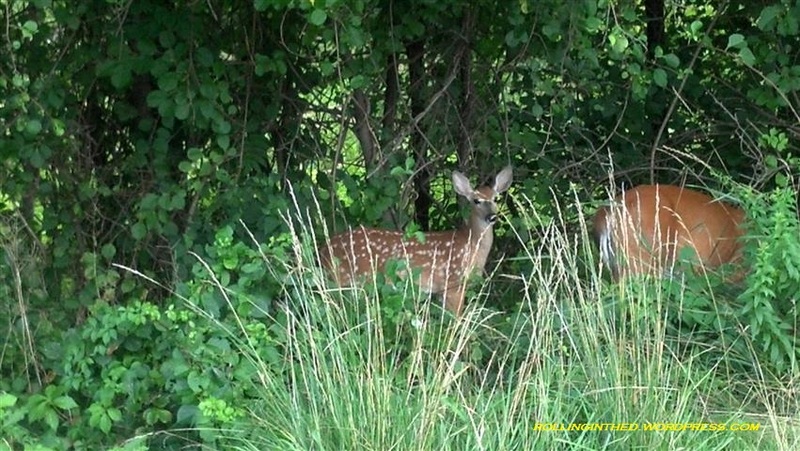 A family of deer was there to greet me. This has nothing to do with diabetes, but they sure are beautiful animals. On Wednesday, I went to our Manhattan office and met with the other T1D who I know works there. There wasn’t much time to talk, but a project manager (who I knew previously and helped me get the job) told me at lunchtime that this guy also takes out his pump every time he eats, but that he doesn’t use the same kind of pump as he used to (which was a Medtronic). He usually has it strapped to his leg beneath his pants, so I wonder if he got a Ping. Then again, his personality makes me think he’s more of a t:slim kinda guy. I’m intrigued. When I go back to that office next Wednesday, I’ll be sure to ask. I’ll also try to convince him join me and Alecia’s Stem Cells as we walk across the Brooklyn Bridge on September 29. That is, if it’s fine with SurfaceFine. Speaking of Kim, she’s got some really big news which makes this blog post seem all that more insignificant. Congratulations to her!! Posted on August 1, 2013, in Diabetes, Personal and tagged jdrf walk. Bookmark the permalink. 21 Comments. YAY! YAY! YAY! 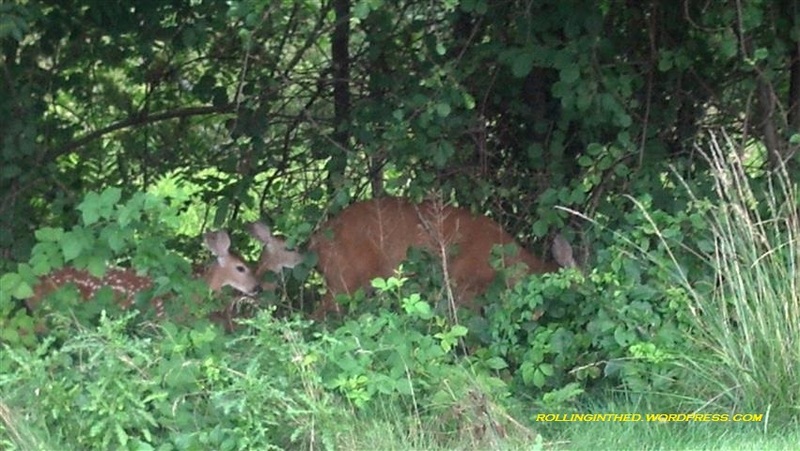 New job, making new friends, deer greeting you in the parking lot, recruiting walkers! Fantastic!!! Sounds like a great week (and yes, the more the merrier, love it)! Great photo and the tie looks good. It makes me remember all the years that my husband went to work every day in a suit. Hope the job is great and that you can still find time for your DOC friends. Very handsome, nice color combo! Congrats! Congrats on making it thru the first week. That’s usually the hardest! The first week’s not over yet, but thanks! Haha! Oops! You can tell I’m a teacher and have no idea what day of the week it is!!! This is exactly how a first week on the job should go. And all of the other weeks too. I hear you about the ties. 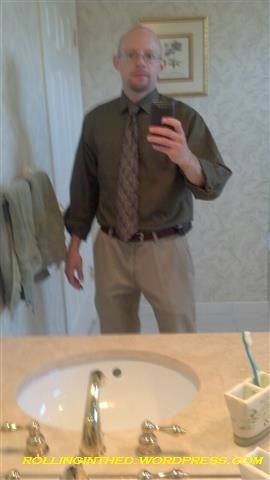 I have to wear suit & tie at work except for the summer. Used to love it… now it’s a big drag. Best of luck on the new gig! I can deal with it, I suppose. But I’ve been in both extremes (where people wear jeans and a T-shirt), and the attitude and professionalism — and even respect for one another — are very different. Looking sharp, dude! I like it! Sounds like it’s going well!!! Glad you are enjoying it and there are other PWD or loved ones of PWD! Yes, now I just have to figure out if they like to talk about it or not. Some people prefer to keep diabetes quiet and to themselves, and if they want to, I need to respect that. Congratulations again on the job! It sounds like it’s going well. 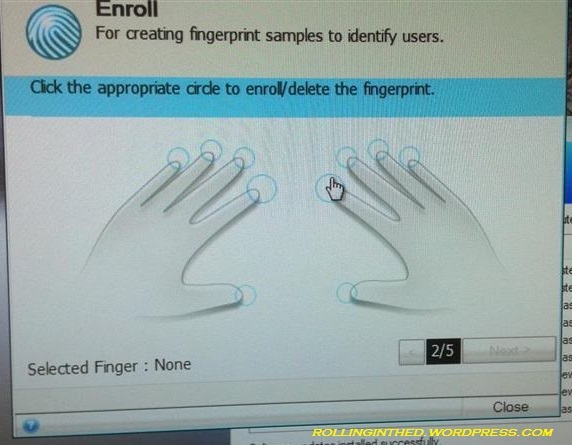 Finger print scanners on computers are really convenient. If the security settings are eased enough it *should* work okay with poked fingertips. You look really professional too! I am a project manager that gets to work from home (and frequently don’t change out of my PJs until lunchtime), so I always feel bad for anyone who has to dress up for work 🙂 But you totally pull it off! Congrats on a very successful first week!! It is definitely a struggle some days, but I counteract that by having lunch meetings with co-workers, and lots of video conferences. If I get stir crazy, I can always go outside for a walk or work outside on the screened porch 🙂 It also allows me the freedom to take my daughter to preschool every morning and not mess up my husband’s work schedule. For us, it’s a win-win. Happy to hear that things are going well so far on the new job! Very cool about the fingerprint scanner, I have not seen one before. Even cooler about the deer 🙂 Great photo! I love that finger scanner. It’s like you’re from the future. I’m so excited for you! Really! !